David Quiroz Marin has developed a system to visualize the evolution of a software program from its first inception to the latest edition. AllerGen’s 50+ trainees learned how to refresh, build and make the most of their existing networks at the Mitacs Step workshop. For AllerGen’s trainees, the benefits of the workshop were immediate with many reporting having put a number of networking tips into practice shortly after the event. Side Effects Software turned to Yeleiny Bonilla through Mitacs Accelerate for web performance expertise. Murtaza Saif says that the hands-on experience he gained while working with Dr. Filip Van Petegem and his team let him build a valuable new skill-set that he didn’t expect to gain. When a chance for Pragyan Hazarika to take part in a Mitacs Globalink summer research internship came along, he knew it was his chance to use his skills at a top university in Canada. 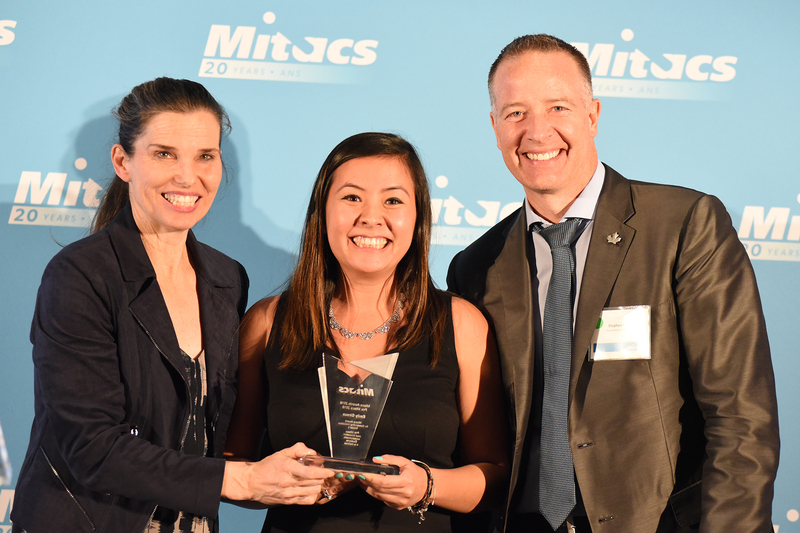 With the help of Mitacs Accelerate intern, Talia Webber, Orpyx is performing research to evaluate the device’s ability to accurately measure foot pressures, an important step in the development and commercialization of the product. Having completed engineering projects to assist in remote monitoring of the Paraiba do Sul River as well as testing equipment for an Unmanned Aerial Vehicle, Leonam set his sights on Canada for his next research adventure. Aarya Vaikakkara Chithran chose to accept an internship with the Mitacs Globalink program because of the chance to take part in cancer research at the University of British Columbia under Dr. Christian Naus in the Department of Cell and Physiological Sciences. Originally, matching donors to preferred causes was done manually by a member of Dexterity Venture’s team of philanthropy advisors. The task was monumental and the need to turn to advanced database technology grew as quickly as their list of cross-Canada clientele. Fernanda Gomes de Mendonça has been helping to develop “photocatalysts”- metallic compounds which are able to produce hydrogen from water in order to be used for fuel cells in cars and transportation. The stories Dhruv Gupta ’s friends and classmates told of Canada and of Mitacs Globalink convinced them all that it would be a worthwhile trip to make, especially for discovering which graduate schools he could possibly attend.